The government have announced plans to introduce a price cap on the domestic energy market. In a recent comment in The Sun, the Prime Minister, Theresa May, stated: “Like millions of working families, I am fed up with rip-off energy prices”. She’s of the opinion that energy companies are raking in increased profits and this is have a direct effect on millions of families in the UK to tune of around £1.4 billion. After hinting at some form of intervention in the market last year, the announcement forms a key pledge in the forthcoming Conservative party election manifesto. The proposed cap would give energy regulator Ofgem new powers to set a maximum price for standard variable tariffs, which energy companies would not be permitted to exceed in charging their customers. The regulator would review the market every 6 months, as supplier costs change and adjust the maximum price accordingly. For those who don’t or are unable to switch, this is welcome news as it should mean paying less for gas and electricity than currently. The government estimate that 17 million households will save up to £100 a year as a result. The government believe this is the best way to prevent energy suppliers “milking” loyal customers and those who don’t switch away from expensive contracts. However, many believe that a price cap is anti-competitive and will have an overall negative affect. Ian Conn, the chief executive of Centrica (owners of British Gas) responded to the move at the company’s AGM that a price cap would “damage” customers and “lead to reduced competition and choice, and potentially higher average prices”. Credit ratings agency Moody’s reported that the price cap has the potential to impact the operating profits of larger energy companies by up to £1.2 billion and push the energy market toward a loss. Of the big six, SSE and Centrica would be worst affected, as they have the most customers on standard variable tariffs. Moody’s calculations also show that the £100 saving promised by the government may not be realistic, due to profit margins on dual fuel customers. Since talk of action last year, many suppliers have begun removing their cheapest tariffs from the market, or increasing the prices by up to 37% in some cases. If you’re a switcher, or plan to switch, the cap may mean even less benefit. The gap between the cheapest deals and standard variable tariffs is steadily decreasing and currently stands at an average £141 per household, per year (down from over £200 last year), so the time to shop around and snap up the remaining cheap deals is now. If you’ve never switched energy, you’re not alone with millions of UK consumers in the same boat and paying more than they should for gas and electricity. The good news is that switching is straightforward, contrary to popular belief. 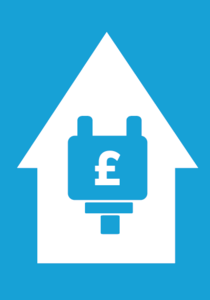 Use our handy Ofgem accredited tool to quickly compare tariffs and see how much you could save by switching.